Pound your chicken breasts so that they are about the same thickness all over (to cook more evenly), cut off the pointy bottom bit (that's the technical name for it) and use it to make the breasts square-ish. SUCH a good description. Bear with me. Sprinkle with paprika and drizzle with oil then rub the coating over the chicken. Thickly slice your fetta (about 0.5cm). Melt the butter in a frypan over low to medium heat and fry garlic for about a minute until softening. Turn off the heat and toss the baby spinach in, giving it all a good stir to coat the spinach in your garlicky butter and wilt it slightly. Set it aside to cool and then give it a quick squeeze to get most of the moisture out. Lay out three sheets of pastry, and layer the chicken, spinach mixture and fetta on top. Crack a little pepper over the top and wrap up your parcels. Rub them all over with a drizzle of oil and sprinkle with paprika before popping in the oven for 40 minutes. 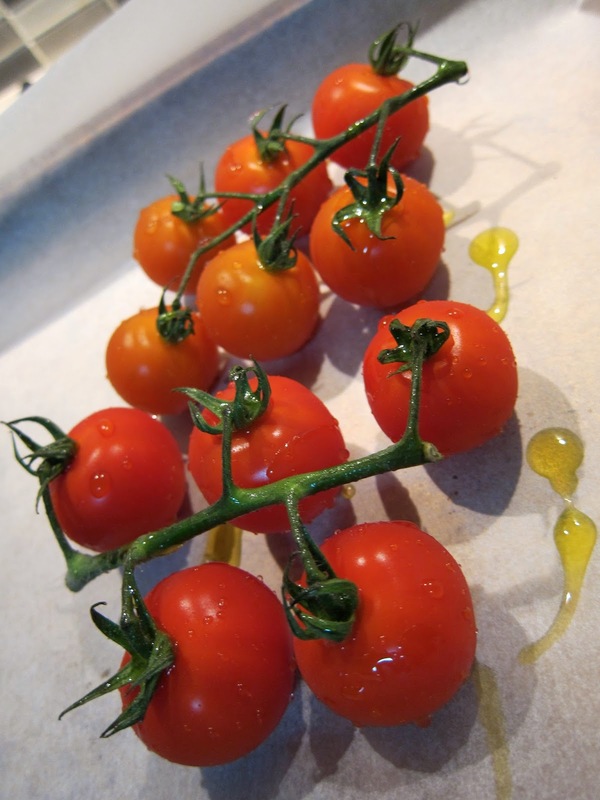 After 20 minutes, drizzle the vine tomatoes with oil and pop them in the oven too. Top and tail the beans and lightly saute in some olive oil and a little sea salt and cracked pepper. To serve, slice the parcels in half and balance them against each other like a little tepe (I really have a way with words today). And then pop your beans and tomatoes on the plate too. The pretty colours take care of the presentation for you! Of course you could put lots of other things in the parcels to suit your audience. This is a great little dinner party dish because the prep can all be done in advance so you can pop it in the oven and enjoy a glass of wine with your guests. A note on wine: Something like a Chablis- lean, citrussy, minerally - would be delish or go Greek and get some Assyrtiko (read my rave about this grape variety here). The acidity of these wines are balanced by the fresh tomatoes and the salty feta. These look pretty damn fabulous and any recipe that involves you/me/one bashing our breasts (with or without the pointy bottom bit) is a winner.